One day during the holidays we decided to have people over for brunch. We were having bacon and eggs but Mum also made some apple and oat muffins which weren’t gluten free. 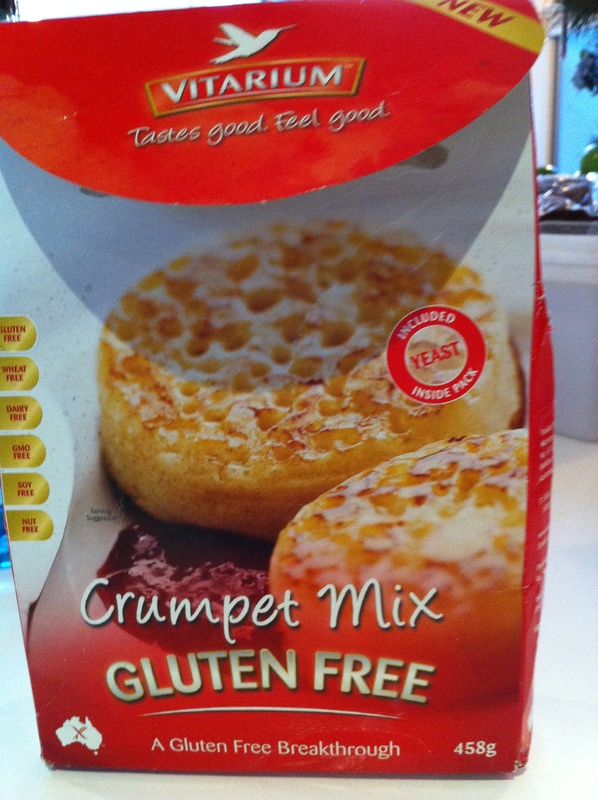 I therefore decided to make up the Vitarium Crumpet Mix I had in the cupboard. I made the crumpets the night before because you have to let them sit for 90mins. However you are supposed to toast them before you eat them so it didn’t matter. The crumpets were amazing, even the non coeliacs of the family said they tasted like crumpets. 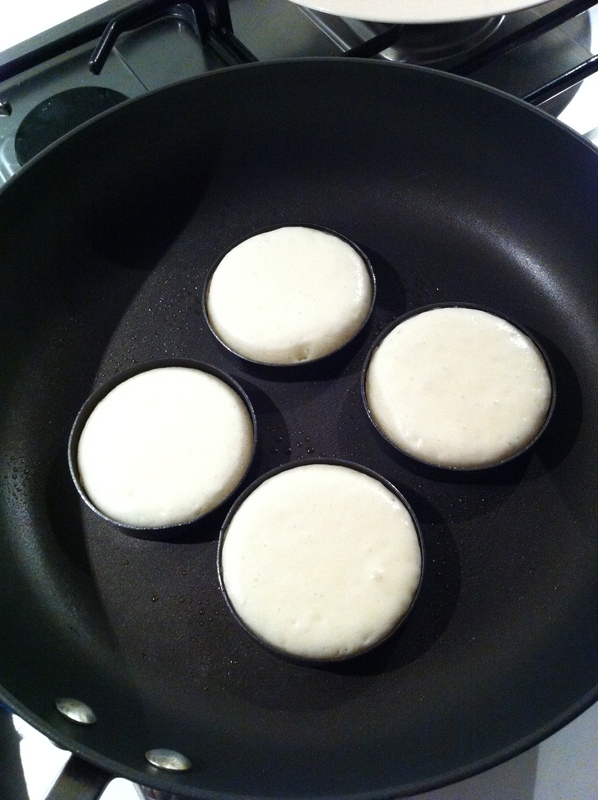 To prove how good they are – we gave one to my coeliac uncle without him knowing what it was and he guessed! 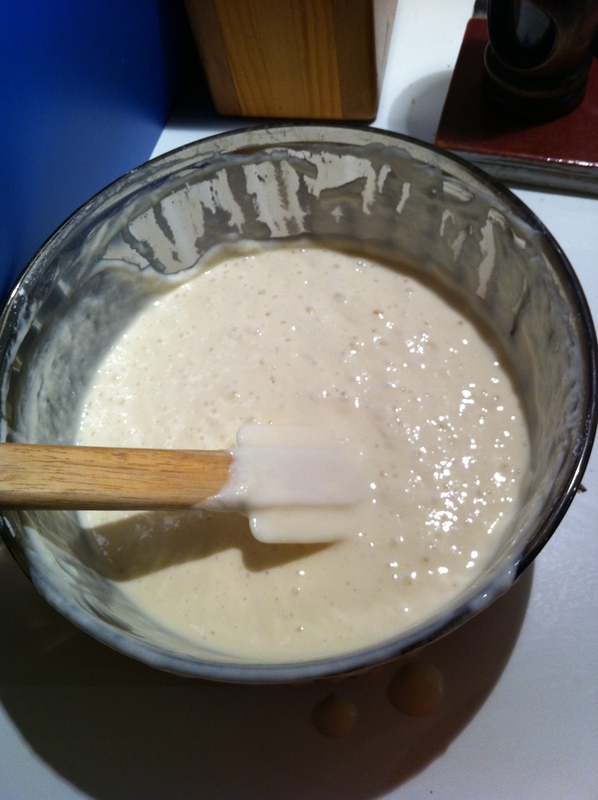 The mix is really easy to make up – and don’t worry if the mixture froths up when you add the dry ingredients to the wet. As suggested I used egg rings (which I sprayed before cooking each crumpet) which made it very easy and they come out looking great. 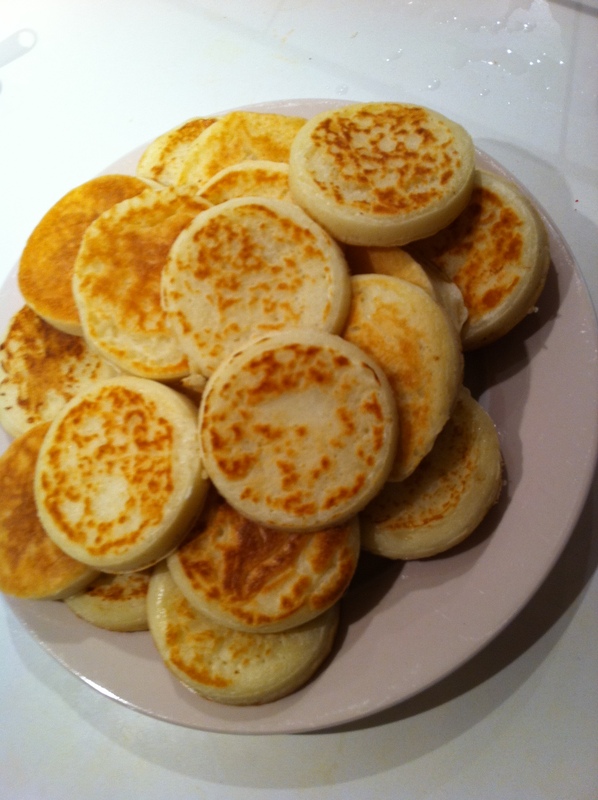 The mix makes a significant amount of crumpets and they can be frozen. Thank you for posting this. I am currently making them after having the mix in the cupboard for over a year because of the 1.5 hours needed for rising. I then made the mistake of starting them at 10pm at night after a quick ring around to get hold of egg rings…arrghh. Anyway, your information has encouraged me that I can freeze them and eat them over time and that they will be yummy!